Plans to construct the first whisky distillery on Barra are moving ahead with the launch of a £1.5 million community shares offer. The proposal means the business will be owned and run by the islanders, but shares can be bought by investors outside the area as well. Barra is an island with a population of just 1,200 and is dependent on tourism, fishing and fish processing. Artists impression of the Distillery and visitor centre on Barra. The community benefit society model means the new firm will be owned by the community, for the community and “of” the community where any profit made is reinvested. 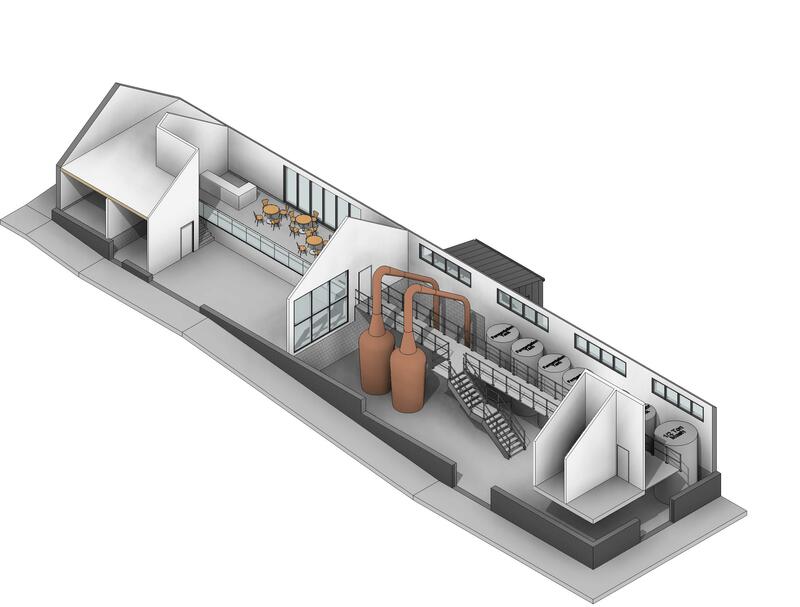 The long-term potential benefits include £2m for other local community projects, which would come back to the community through profits made at the distillery in the future. Peter Brown is the entrepreneur behind the project and he and his fellow directors, Neil MacKinnon and architect Malcolm Fraser, want the distillery to be environmentally friendly. They intend to use water from the local reservoir and barley grown on the islands. It will be driven by renewable power from the reservoir, solar power and wind turbines. Community Shares Scotland (CSS), which advised Barra Distillery, has previous experience of backing a distillery project. An earlier project on the mainland raised more than £2.5m in 2016, from 2,441 supporters in 30 countries. This was more in community shares than any other UK organisation. Mr Brown said: “Scottish distilleries like to think that their whisky is imbued with the elements of the place in which they are created. This claim can be indisputably made by the Barra Distillery. “This is where Scottish author Compton MacKenzie wrote his novel which became the famous movie ‘Whisky Galore’ which was filmed here on Barra in 1949.” He added: “We’ve seen so many good traditional and modern businesses in Scotland sell out and take the capital, with the business ending up in overseas ownership. “Jobs are often lost, and they’re not wholly Scottish any more. We want the distillery to be owned for posterity by the community it serves. Whisky has never been distilled on the island of Barra before. In 2016-17, UK spirits revenue increased by £229million to £3.38bn (a rise of 7.2%), overtaking revenue generated by beer for the first time, and highlighting its continued prominence and popularity. From a Scotch whisky perspective, export values have increased by 56% between 2006 and 2015 from £2.5bn to £3.9bn, reflective of the increasing demand for artisan single malts and premium blends. Scotch whisky accounts for almost a quarter of all UK food and drink exports, which is currently exported to over 175 countries around the world. 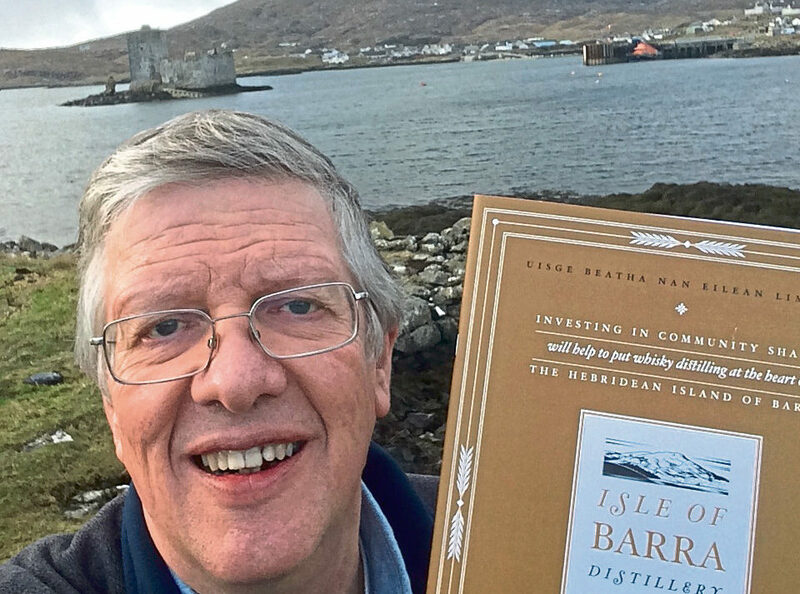 Peter Brown splits his time between Barra and Edinburgh where he has owned several successful businesses. Engineer Iain Brown has an in-depth knowledge of distilling as well as generation and storage of renewable energy.